Dr Shirin Lakhani (MBBS, MRCA, MRCGP, DRCOG, ACCMA) has an extensive background in medicine having trained in the NHS and various hospital sub-specialities, including anaesthetics where she became highly skilled in advanced injection techniques. After moving into general practice, Dr Shirin soon discovered her passion for aesthetics and the synergy between medicine and beauty. Most of all, Dr Shirin loved the positive impact that her work could have on her patient’s confidence and self-esteem. In 2013 Dr Shirin founded Elite Aesthetics in Kent and has since left general practice to pursue her passion full-time. Her discreet approach and fantastic, natural-looking results have seen her treating royalty, A-listers and celebrities alike. Dr Shirin is passionate about skin health and was has been personally trained by Dr Zein Obagi on his ZO skincare range. She has successfully treated diseased skin where others have failed and has a special interest in treating skin of colour. Dr Shirin was the first female practitioner to be trained in the O-shot and P-shot and is now a national trainer for this innovative treatment. 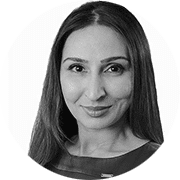 Dr Shirin is also one of the leading practitioners in the UK for Plexr – the first device capable of performing a non-surgical eye-lift, and the leading doctor in Kent for the Vampire breast lift.